Animal Farm by George Orwell is as applicable today as when it was first written. 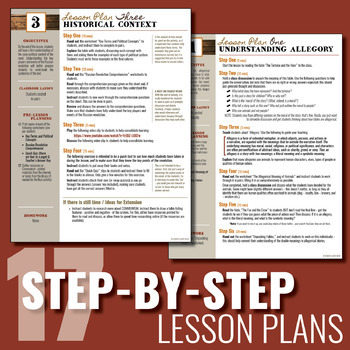 These complete lesson plans, worksheets and activities aim to make that true, to make the novel relevant and engaging for your students. 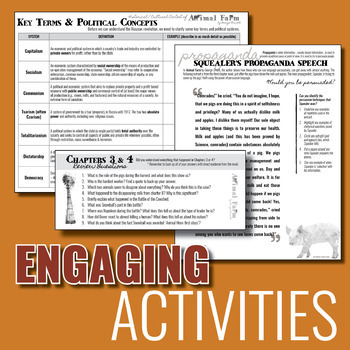 These resources will equip you when teaching Animal Farm, and hopefully will make it a lively learning process. 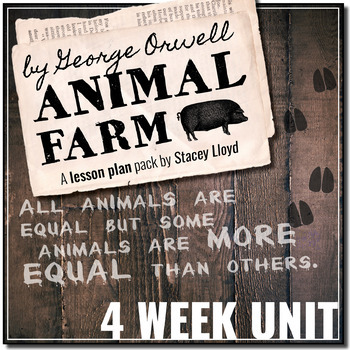 This MASSIVE teaching pack contains well-designed step-by-step lesson plans, worksheets, handouts, activities, helpful hints and tips for the teaching of this iconic novel, Animal Farm. For each lesson there is a detailed lesson plan, accompanied by worksheets/handouts, suggested activities, homework questions and teacher's answers. **03/07/14: UPDATED:A final exam has been added. The exam consists of multiple choice, true or false, character matching, short questions and an essay. 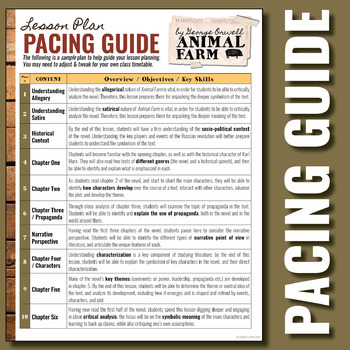 The exam comes in PDF form for easy printing and as an editable Word document for editing.